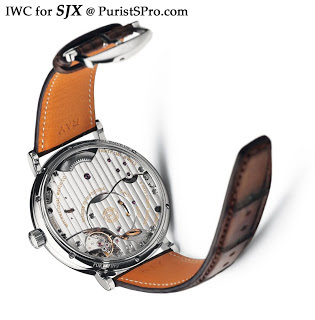 IWC will present two brand new Portofino models in 2011, with the flagship of the range being the new Portofino Hand-Wound Eight Days (Ref. 5101). Available in rose gold or steel, the new Portofino Eight Days displays the date and power reserve on the dial, while the cal. 59210 movement is visible from the back. That movement is a variant of IWC’s admired cal. 5000 automatic 8 days movement. 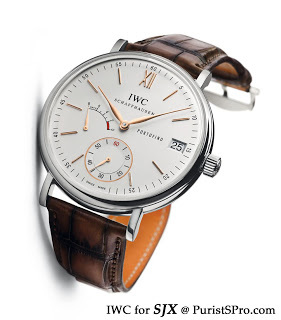 This new addition to the Portofino line turns the Portofino line from an afterthought into a serious contender in the overall IWC line-up.